Note : Profitability Management maintains a pointer to these tables and accesses them during its running. It does not import data from the tables or save that data apart from the tables themselves. 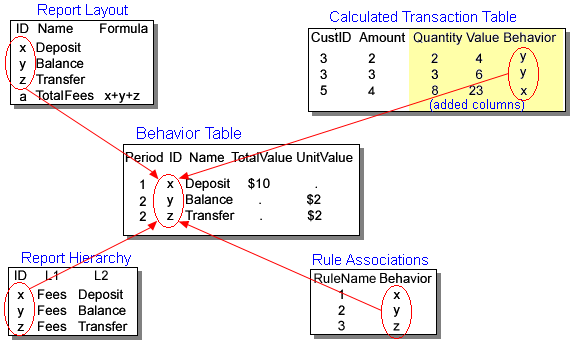 The following picture shows the relationships between the behavior table and other tables in a profitability model.